Robb to discuss Emirates taking a stake in Qantas? Trade Minister Andrew Robb has said he will raise the issue of foreign investment in Qantas when he mets with Emirates Airline chairman Sheikh Ahmed Bin Saeed al-Maktoum in Dubai this week. “I’m sure he’ll raise it if I don’t. But I will explicitly mention it,” Minister Robb was reported as saying. “We have said that we want to open up the opportunities for foreign investors… I think Qantas would very much welcome other foreign investors, and that would give them a much more level playing field with Virgin Australia,” Robb told journalists in Dubai as reported by Al Arabiya News. The Qantas-Emirates codesharing alliance commenced operations on March 28 last year, but Emirates has previously ruled out taking an equity stake in the Australian airline. Construction to begin as soon as 2016 on a second Sydney airport at Badgerys Creek? 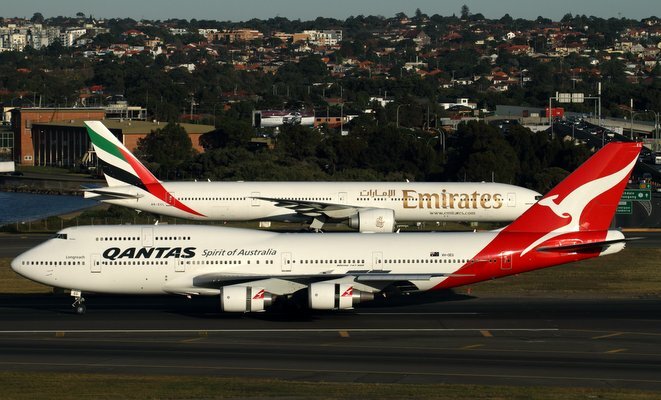 Would it be a bad thing if Emirates bought a majority stake in Qantas and operated it as a subsidiary? Yes it would be a bad thing…… besides EK have never indulged in equity ownership as they run their own show and will not tolerate other airlines on the board and subsequently trying to have input into what EK does. Why would Emirates pay for what they have already been given for free by Qantas???? It should be “meets with” not “mets with”. QANTAS stay as brand and icon of people of blessed Australia and commercial aviation. Rod, Marinkovic, AME. Kraljevo-Serbia / Sydney-Australia. 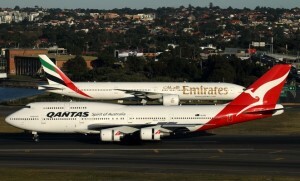 Emirates is one of the largest airlines in the world and Qantas can get hand me down A380s in the future. Qantas nees to get rid of all old aircraft including boeing 717 767 747 old Q200 and 300 and replace the 717 q200,300 with more Q400 they need 787-9 to replace 767 all A330. and boeing 777-9x to replace being 747.